Hi! My name is Dan. I'm a software engineer and writer in Seattle, WA, USA. I'm the author of the books Programming Google App Engine with Java and ...with Python (2015) published by O'Reilly Media. Check out the book website. Here it is, the next entry in our Star Wars fan commentary series, Star Wars: The Last Jedi. It's a great brainy film. I didn't fare as well as Lisa did this go around—I can hear myself heading towards smart things to say but I don't quite get there in several places. But it was still fun to do. As a follow-up to our Star Wars: The Force Awakens fan commentary, my wife and I did another one for Star Wars: Rogue One. I think we felt we had less to say about it, but it was still fun to do. My wife and I talk about Star Wars a lot, but we had no idea we'd have so many conversations about Star Wars: The Force Awakens for months after its theatrical release. When we realized that the April 2016 DVD/Blu-ray release would not include a commentary track, we decided it'd be fun to put together a commentary of our own, based on the digital release from a few days prior. picotool is a suite of tools and libraries for manipulating data files for the Pico-8 fantasy game console. picotool is written in Python 3, and it includes a full Lua parser written from scratch. 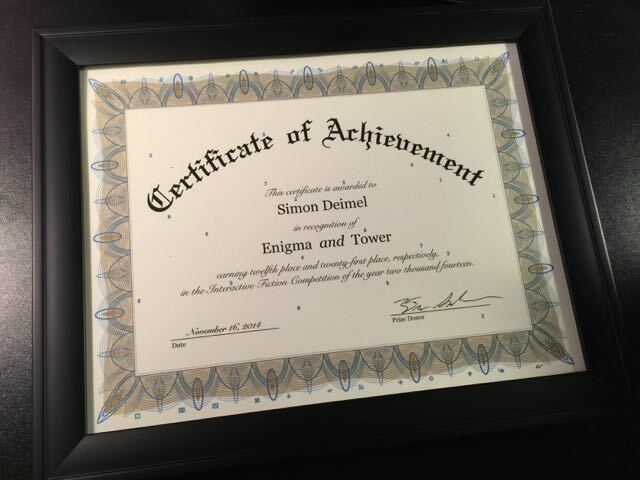 I donated six prizes to the Interactive Fiction Competition 2014. As a surprise for the winners that selected my prizes, I made a little puzzle chain game. Here's how it went. 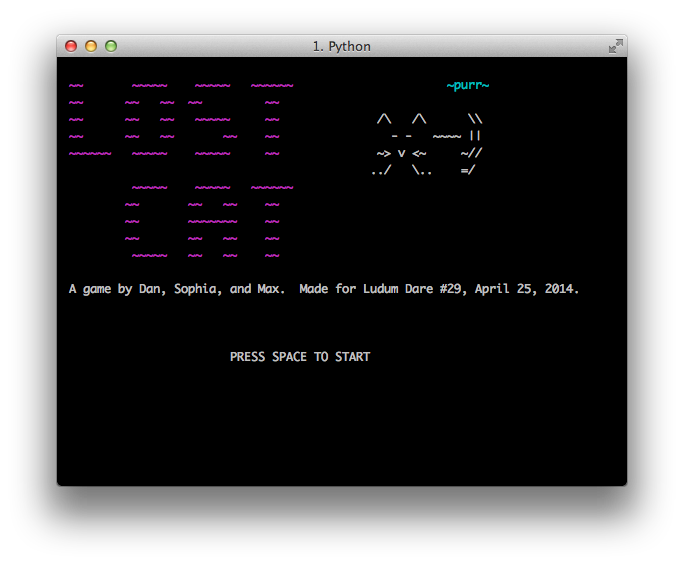 Lost Cat is a game I made with my kids for Ludum Dare 29, a game jam that took place during April 25-28, 2014.